MAKE CROP MONITORING EASIER AND MORE COST EFFICIENT OpenScout streamlines the crop recording, reporting and sharing process. It’s as simple and easy as downloading an App! OpenScout tracks and records each scouting trip in real-time using the GPS on your smart device and using the geo-tagged Pest, Disease & Disorder pick list option even your kids can become expert crop scouts in just a few outings! Combine the power of cumulative pest, diease and insect data with weather data and crop and pest models in the OpenScout Insights features and you have a very powerful tool to predict pest and disease events giving you time to make the best crop managment decisions. And to bring automated crop motioning to a new level Z-Trap remote sensing traps can be deployed to send real-time pest data to your smart device or desktop. Z-trap is like having a Scout in your field 24 hours a day 7 days a weeek. 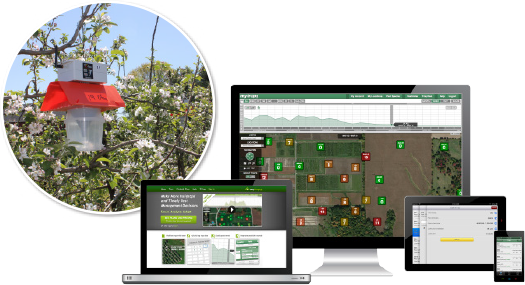 You are in total control with OpenScout and Z-Trap Precision IPM. With spring just round the corner now is the time to balance your soil and treat compaction issues. The Ultimate range of Liquid Lime, Gypsum and Dolomite are the ideal solution to getting your soil balanced and adding Ca, Mg and S to your soil. SLASHER Organic Weedkiller Wins Organic Product of the Year!